Geory joined SIU as sustainability coordinator in the fall 2015 semester and is proud to be a Saluki! She is supported by an enthusiastic team of undergraduate and graduate students, and has also started a new Fellows program with unpaid interns. 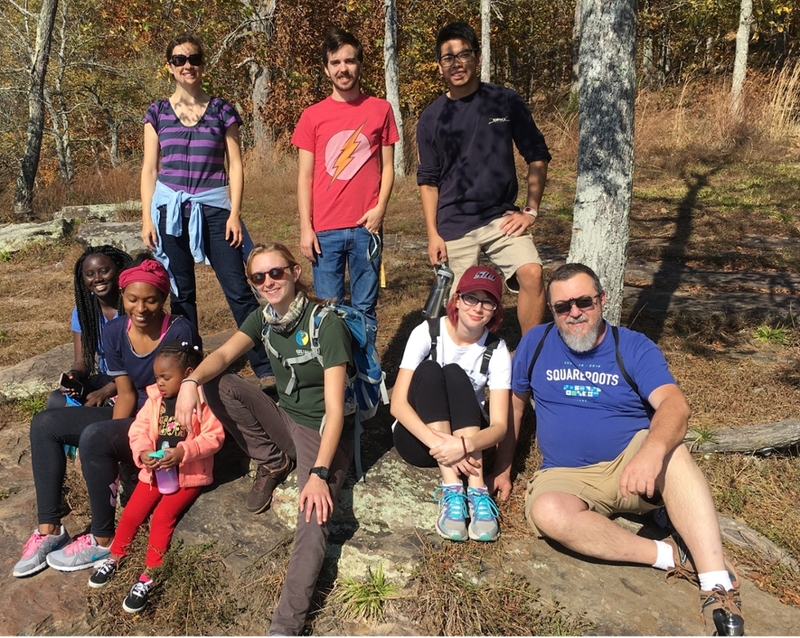 She says that her office team's enthusiasm is "a nod to our students' passion for transdisciplinary problem solving and making our future a little brighter." Her diverse background includes volunteer work with the Peace Corps in Nicaragua, a corporate career with Starbucks Coffee, employment as an outdoor educator, and volunteer and travel opportunities in the United States and beyond. Through those experiences she grew to understand the three pillars of sustainability: economy, environment, and society. Geory traces the roots of her passion for sustainability to the southern Indiana farm where she was raised, the Hoosier National Forest that surrounded her during childhood, and the balanced upbringing provided by her practical engineer father and her passionate biologist mother. Geory earned an MBA in Sustainability and Social Change from Clark University in Worcester, Mass., and completed her Bachelor's degree in Journalism with a concentration in Environmental Studies at Indiana University in Bloomington, Ind. Karen recently joined the Sustainability Office as the Program Coordinator. 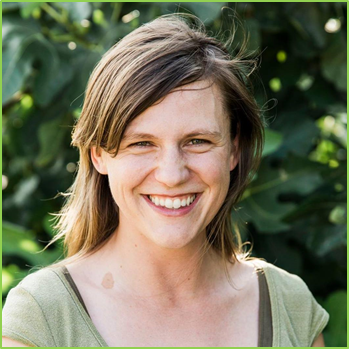 Some of her experiences include working on a voter registration campaign in Arizona, native plant landscaping in California, and trail building for the Montana Conservation Corps. She is also a Carbondale native and moved back to complete a Master's in Geography and Environmental Resources at SIU in 2015. 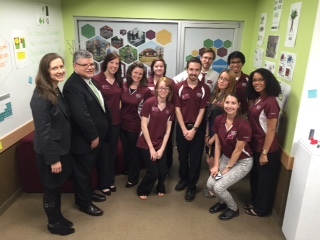 While at SIU, Karen had the opportunity to work with the LOGIC garden and the SIU Sustainable Vegetable Farm. After graduating, she taught k-8 curriculum in a garden setting in Birmingham, AL with Jones Valley Teaching Farm and then worked at Sewanee, the University of the South as an Assistant Farm Manager. Angela is currently a Masters in Public Health student. She also received her PhD from SIU, in Mass Communications & Media Arts, with a focus on health. Her interest in sustainability goes back to her involvement with the Green Earth Organization in Ghana. She is a firm believer that our actions today will affect our existence in the future, hence, we need to make better choices today to safeguard our future. Hala is currently a master's student in the Electrical Engineering program. 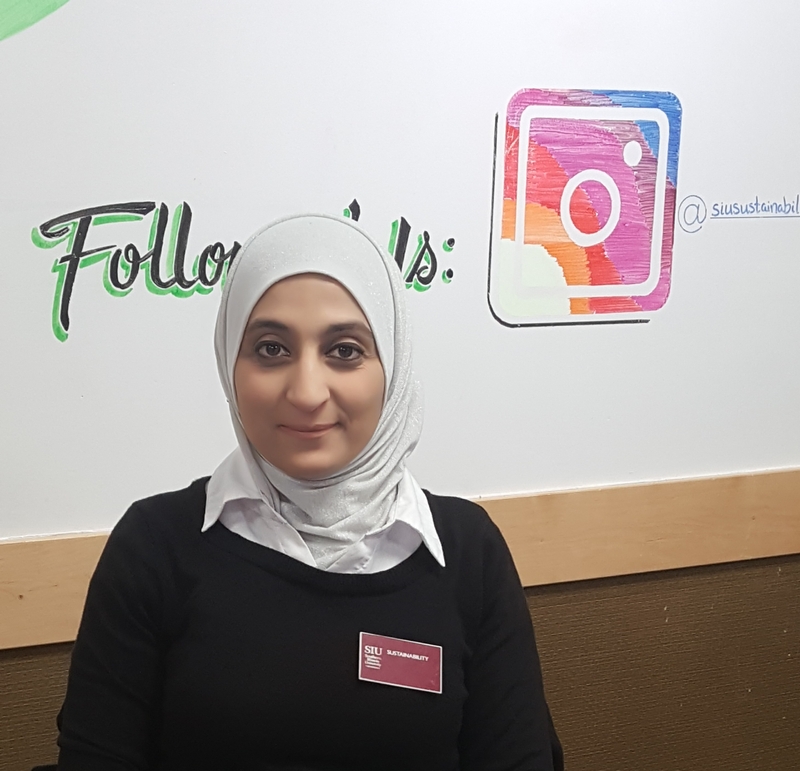 Hala joined the SIU Sustainability team because she feels that the sustainability involvement would help her to combine her interest in sustainability with her academic and professional experiences. She strongly believes that it the concept: 'what gets measured, gets managed.' Better measurement and disclosure is necessary for unlocking sustainability innovation in the corporate and public sector. After the program, Hala hopes to continue her working in the ESG (Environmental, Social, and Governance) measurement, disclosure, and investment space. Austin is a junior studying communication design. He cares about sustainability because "it is vital for our future and we should care about our planet." Ayomide is a pre-med student. 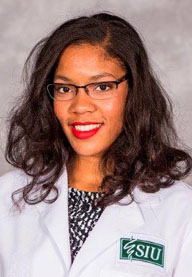 She graduated from Northern Illinois University with her bachelor's degree in public health and biology in 2015. Ayomide believes that sustainability is and needs to be continually innovative and there is an absolute need to sustain life of all people. Jessica is a master's student in the College Student Personnel program. By focusing on visual communications and design, Jessica hopes to "help educate students about their impact on all aspects of sustainability." Jara will finish the SIU MEDPREP program in May with her MPH in Community Health Education. She cares about sustainability because "human health depends on the continued stability of natural resources and the preservation of ecological systems." Derick is seeking his MPA in Aviation Administration. He is committed to sustainability because he believes that it "can ensure that growth is compatible with the environmental and economic needs of surrounding communities." In doing so, he said that we can avoid "living on Mars when our ecosystem collapses." 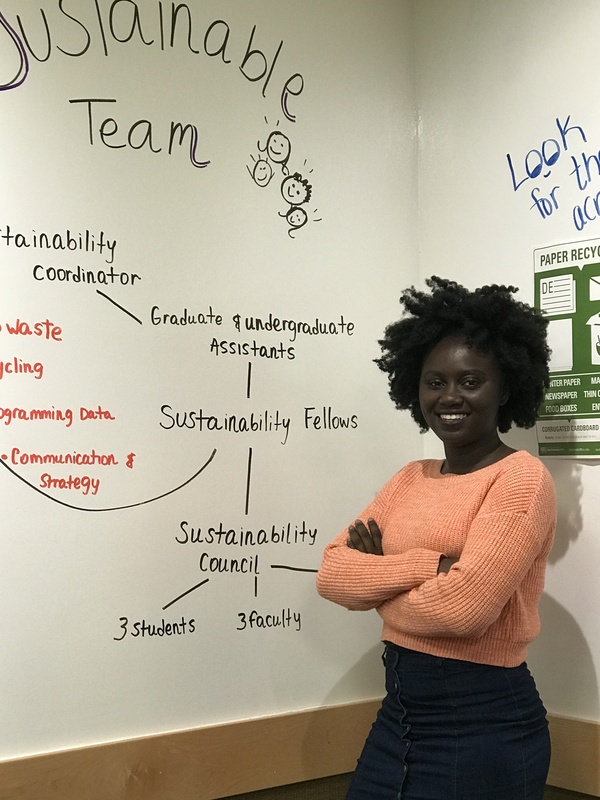 Our Sustainability Fellows are part of the Sustainability Office Team, as well. Find out more about them here.